We're so happy to have had Grandma and Grandpa here with us this whole past week! 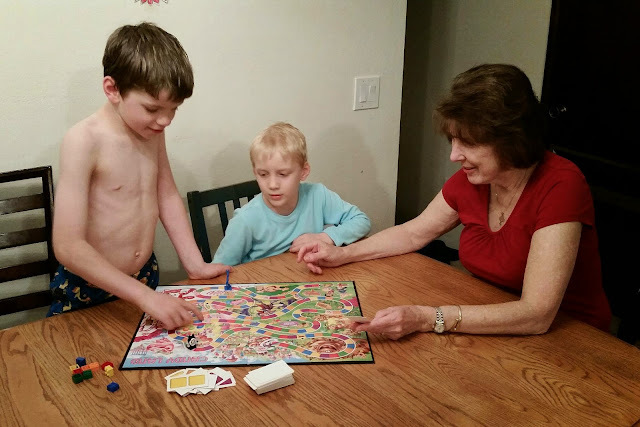 One last game of Candy Land before they headed home this morning. They are greatly loved!